It’s easy to overindulge on holidays, birthdays, and during other special occasions. Oh and buffets — yikes! When your stomach is growling and you smell amazingly delicious food, it’s too easy to fill a plate (or grab some samples with your bare hands) and dive in. Some studies have shown that drinking a glass or two of water before a meal can help reduce the amount of food you eat. And this super-simple tip may even help with weight loss (…just sayin’). 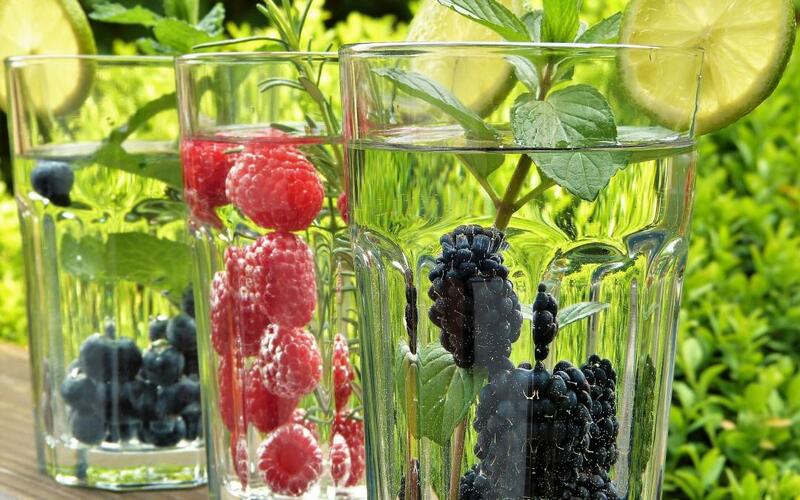 Tip: Drink your water a 1/2 hour before your meal so it doesn’t dilute your digestive juices. Not only will the water start to fill up your stomach before your meal — leaving less room for excess food — but drinking enough water has been shown to slightly increase your metabolism. Plain water not your thing? Check out the tasty options at the end of this post. Veggies are a great way to start any meal because they’re full of not only vitamins, minerals, antioxidants, and health-promoting phytochemicals, but they also have some secret satiety weapons: fiber and water. Just as being mindful when you meditate helps to focus your attention on your breathing and the present moment, being mindful when you eat helps to focus your attention on your meal. So take your time, pay attention to your food, and enjoy every bite.